A slim shape design with an easy hand operated switch and button. 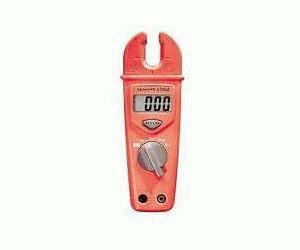 The ET800 provides an inventive open jaw technology for measuring AC current without opening the clamp jaw. The unit automatically measures ACV, DCV, OHM and ACA by just turning on the meter. The ET800 also has an in-built test lead storage with probe holders for two pole voltage testing applications.